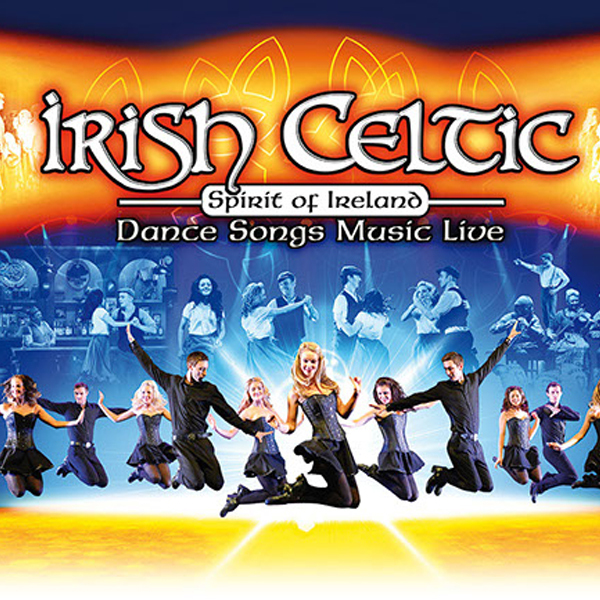 IRISH CELTIC – SPIRIT OF IRELAND | Love Productions Inc.
Irish Celtic features the finest dancers from the top Irish dance companies, who show their infectious love for dance and their incredible talent in thrilling and spectacular high energy dance routines with explosive rhythms and nail-biting precision. The convivial and hospitable cast welcomes the audience as new friends in the way only the Irish know how and shares with them an unforgettable night of music, storytelling and dance set in one of the greatest pubs in Ireland. Through their spectacular dancing and passionate music, including romantic theme tunes from Braveheart and Last of the Mohicans, they recreate scenes from throughout Celtic history; from the days of the Druids, the great migrations, to the voyage of the Titanic. So come on down to the Irish Celtic Pub, meet landlord and owner Paddy and the people of Ireland, have a drink of the best Irish whisky, and discover the songs, legends, traditions and dances of a culture whose heritage is as rich as it is old.